Congrats! Just in time for back to school! Thanks! ….and especially appropriate for fourth grade students in New York who study local history. This book looks awesome! I am definitely adding it to our list of books to check out as well as the Mt. Rushmore one. My daughter has been very interested in history and is obsessed with NY. This is why I love finding new blogs. Way to go! PLEASE DO CHECK THEM OUT! Let me know what your daughter thinks after she reads them. So glad that you found my blog. Thank you for your comments. 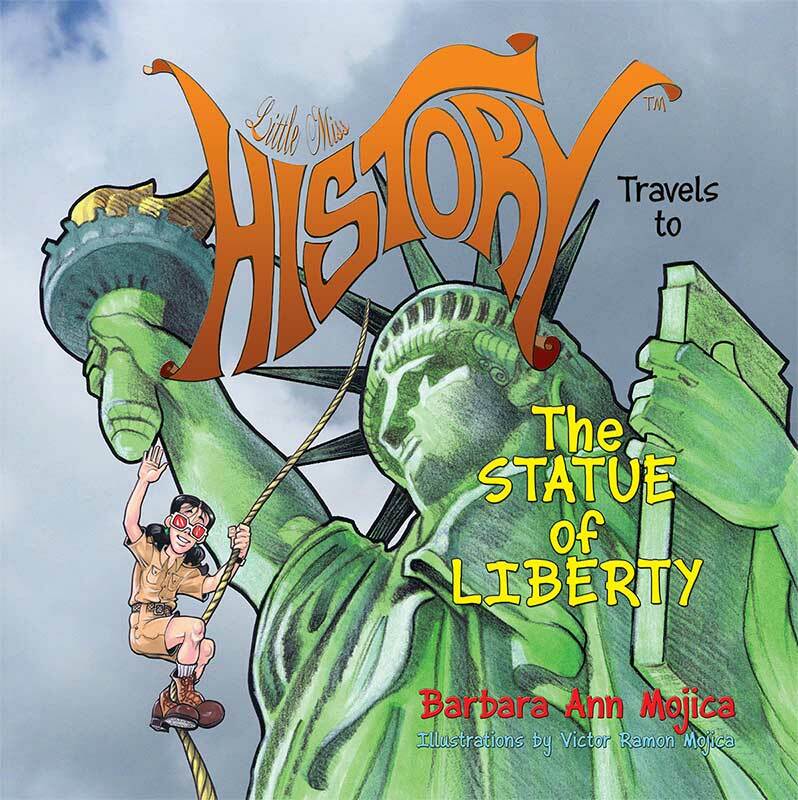 These look like a fun series for children Little Miss History Travels to The Statue of Liberty I think that my middle granddaughter would love to read this book,..
As a retired 4th grade teacher, I love the history, monument connection in these books. I now look for good books to share with my granddaughter. I will add these to my list. I hope that your granddaughter will enjoy them. I would love to have this for my niece. I think she would love it. Love to hear your thoughts in a review on amazon or barnes and noble after you read it! What a great cover! I like the look of this book and am going to ask my 10 year old if he is interested in reading it (we live in the UK). Thank you for your kind comments. The book is available on amazon UK. If your son reads it, please leave a review and let us know what he thinks! This looks like a great book. I just love history, but even though I can still recite the poem on the Statue of Liberty, I have never been there (I have lived in NYC my whole life). This, like the other Little Miss History books, would be a great addtion to any classroom or home schooling situation. Thanks for your kind words. My objective is to make learning fun. These books are on our wish list! Lots of humor, but you will learn so much! When I saw this post on the Kid Lit Blog Hop, I had to stop and say Congratulations! I am thrilled to see this one published. Sharing this on the tweet! Both children and adults will be amazed at what they did not know about the statue. I hope that you will take a look. Let me know your thoughts. I guess I didn’t win. Lol, off to look for the Nook version! Thanks for linking in to the KLBH!